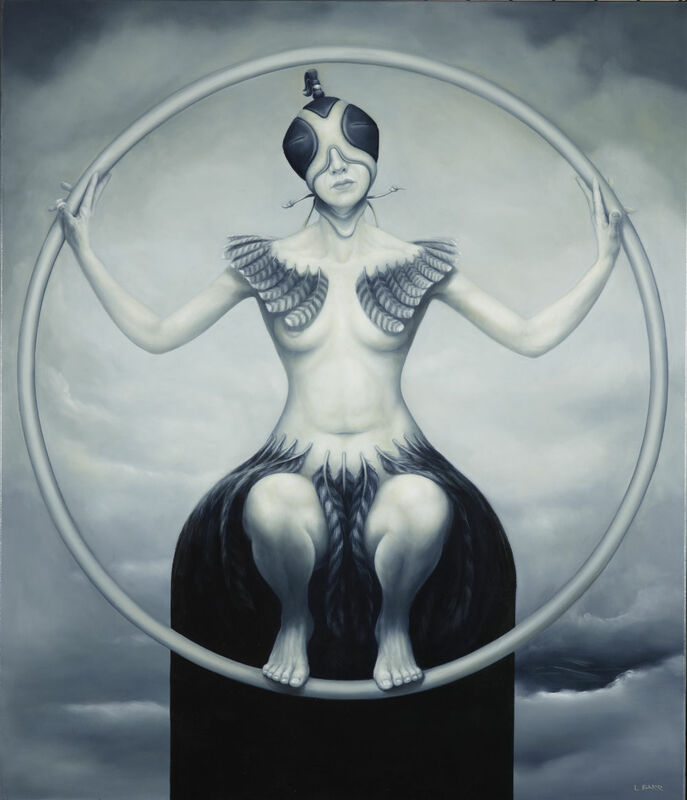 Harking back to lofty heights as the fifth painting, the perched Karearea acts as an expansion on Light Touch. Again the hood limits vision but not all faculty and this raptor is strong and able. Whereas Tui employed a circular motif, this painting utilises an open wing motif among the spread arms, décolletage and hood pattern, even the hip line swoops downward in a streamlined motion punctuating an inky black void to ground the image.